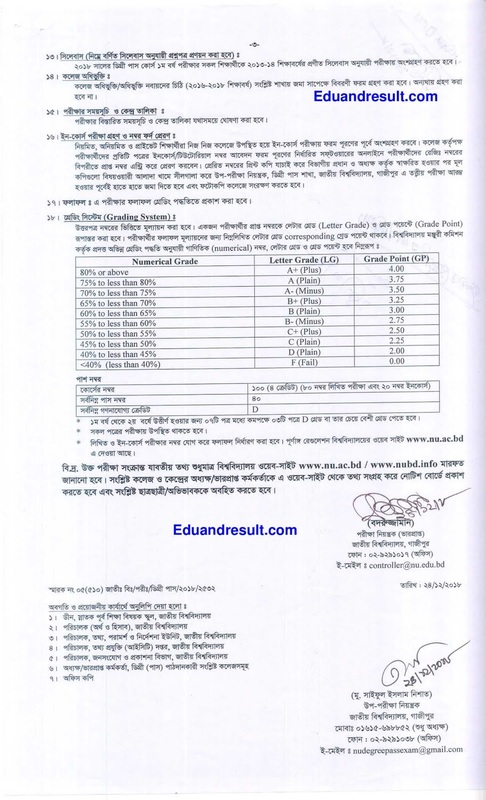 National University Nu Degree 1st Year Form Fill Up 2018 Notice published officially. Here is details information about Degree 1st Year Form Fees and Form Fill Up Date & Time. 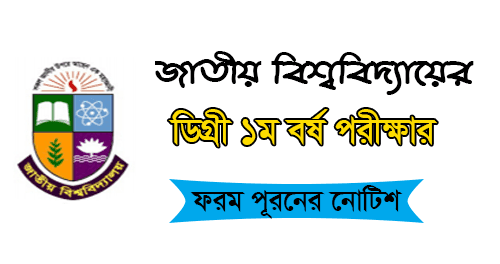 NU Degree 1st Year Form Fill up 2018 Notice: The National University authority has published their NU Degree 1st Year Form Fill up 2018date recently for the session 2017-18 for the academic year 2018. 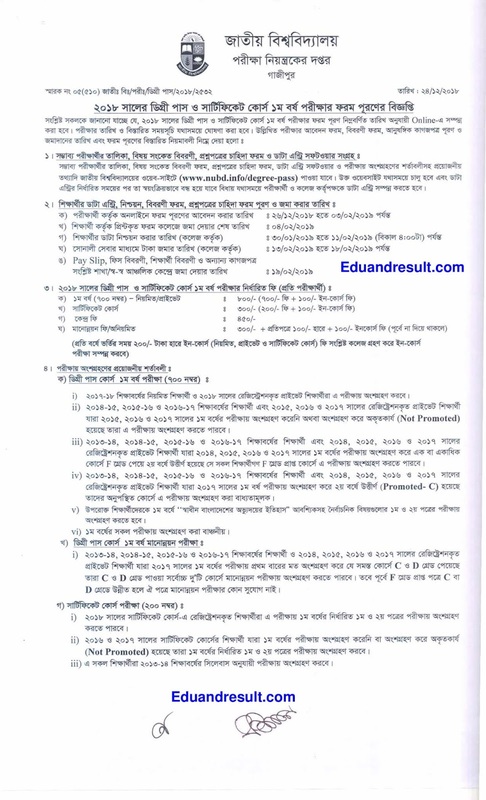 Form fill-up notice is published by NU AC BD Form fill-Up published for the National University of Bangladesh. We hope you are looking for the Degree 1st Year from Fill up 2018 for the session 2017-18. Here you can get real information about the form fill up notice. Read the full article below to learn more about this. The Degree 1st Year notice board has published the form fill up notice today. NU Degree 1st Year Form FillUp Starton 26 December 2018. And it will end on 20th February 2019. Every student needs to fill up the form online. So you should fill up the NU Degree 1st Year Exam from online within 20-02-2019. Do you want to know about the fees for NU Degree 1st Year Form Fill-Up? Well! See details in below. It is a common question for this form fill up reason. Every student wants to know about the Degree 1st Year Form Fill Up 2018 fees. You can get the details information below. If you want to more information like Form Fill-up Date. Form fill up fees, Condition for attending on Exam etc. So you need to download NU Degree 1st Year Form Fill Up Notice 2018 for the academic year 2018. 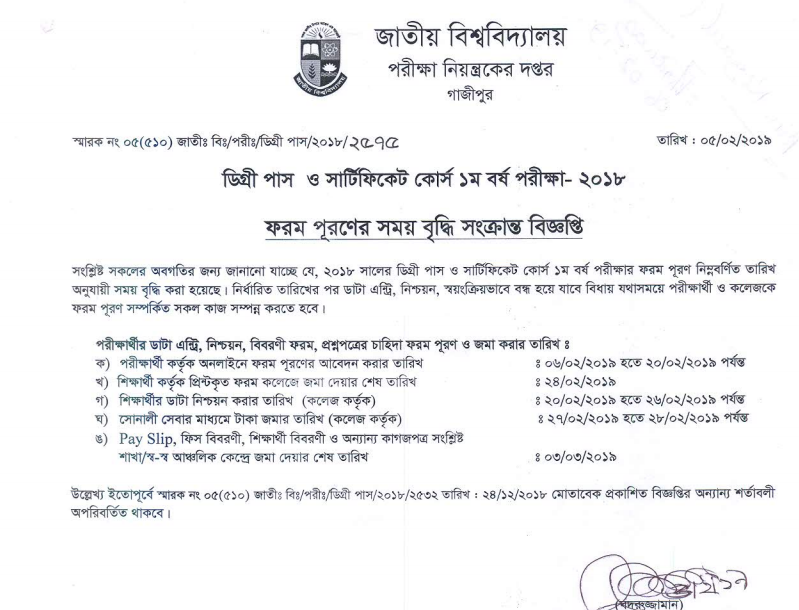 This notice has published by the official website of National University. We have uploaded it on our website’s main server. So you can download it free from our website. Download National University Form Fill Up Notice. Today …. 2018 National University authority has published NU Degree 1st Year Form Fill Up 2018 Notice for the academic year 2018 and session 2017-18. We have instantly collected from the official website and uploaded the notice on our website. You can bookmark this page to collect NU Degree Desult 2019 very fast than others of every year. We hope you are successfully understood and gain our article about this. Try to share this article with your friend circle. Thank you so much for being with us.